The vertical drop from summit to base is 1444 ft. The average difference in altitude between base and summit of Ski Resorts in Switzerland is 2890 ft. Runs and slopes are therefore relatively short. The ski resort takes you to an elevation of 4757 ft.
Vallee de Joux is among the 3 best rated Ski Resorts in the Lake Geneva region. Season starts on Dec 22 and ends on Mar 24 (92 days). Average season duration in Switzerland is 112 days. Average snow depth during the season (Dec 22 to Mar 24) is 26 " at summit elevation and 6 " at base elevation. Snow coverage is usually best during February, offering an average snow depth of 28 " at summit elevation and 7 " at the base. Vallee de Joux features 43 sunny days on average per season. The average for all ski Resorts in Switzerland is 47 sunny days. February is the sunniest month with an average of 20 sunny days. 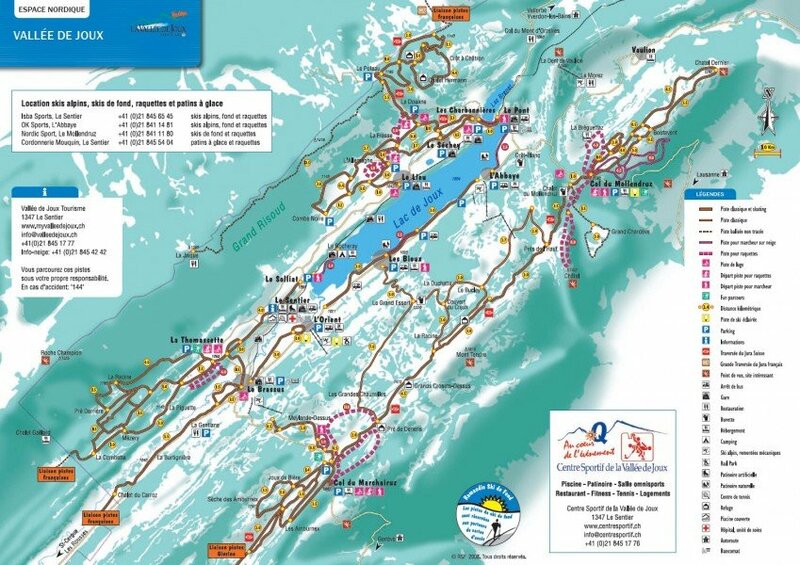 Offering 26 miles of slopes and terrain, Vallee de Joux is among the 3 largest Ski Resorts in the Lake Geneva region. The area around the lake is perfect for enjoying numerous different wintersport activities. 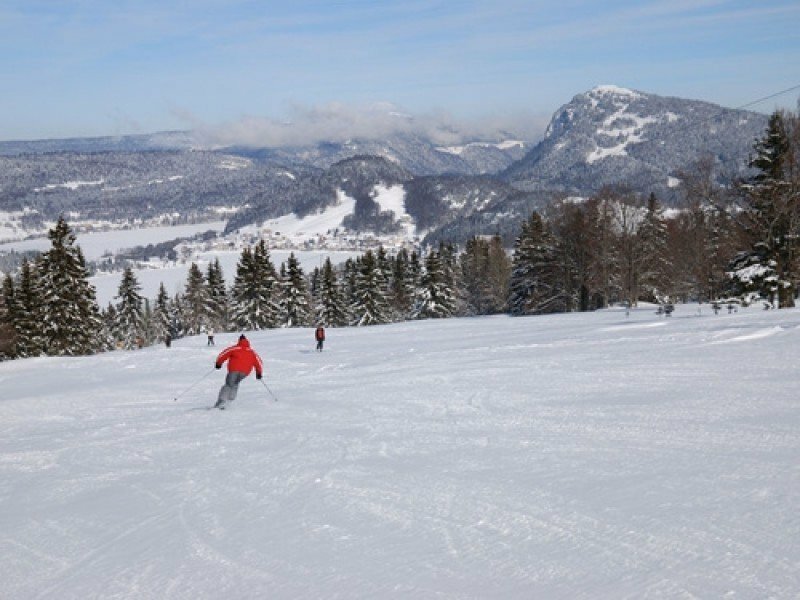 11 ski lifts and 42 km of well groomed slopes present the well structured skiing area of Vallée de Joux. 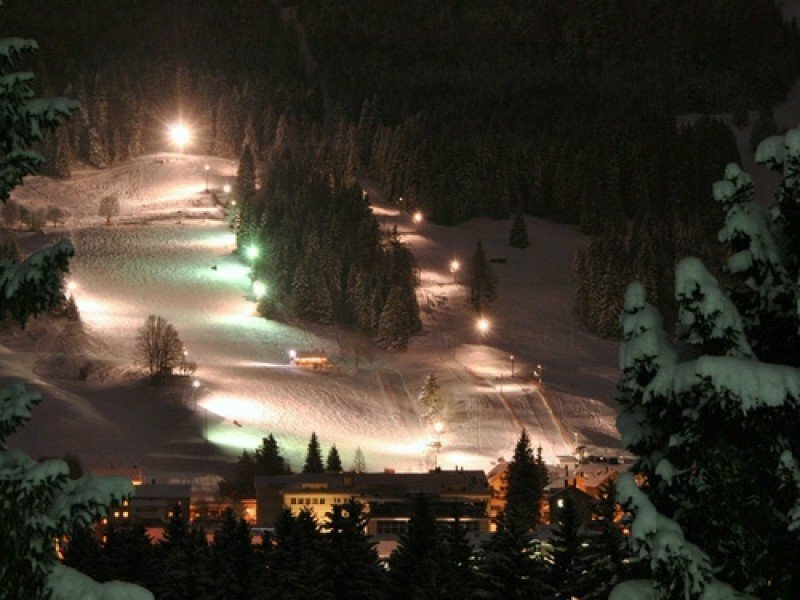 From slalom to skiing at night - the skiing area guarantees a diverse skiing experience for beginners and advanced sportsmen. Friends of cross-country skiing and snowshoeing will definitely come to their costs as well as the area comprises beautiful trails of more than 220 km length. Being one of the winter highlights, you should not miss out on the experience of ice skating on the Lac de Joux. Fans of tobogganing are in for a lot of fun with their family and friends when experiencing the racy decents at Vallée de Joux. Could anyone tell us how this place is re cross country or sKi de fond? Does it work as a ski area with some quality ? Please tell us your experience!